to more effectively treat patients. Our real-time support tool connects physicians with up-to-date treatment options and relevant insights derived from real-world clinical evidence across millions of patients, our vast library of molecular profiling data, and our advanced analytics and machine-learning algorithms. We provide physicians with a comprehensive report that fits into their workflow, making it easy to translate findings into personalized treatment decisions. 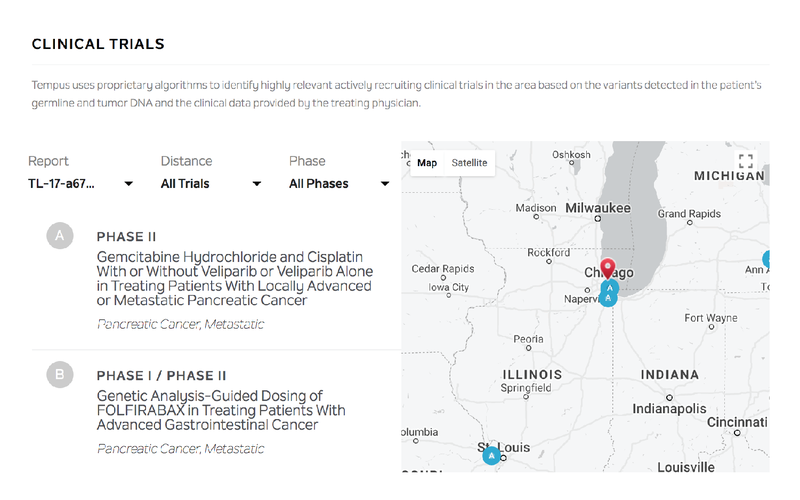 Our reports are embedded with Tempus Insights, patient-specific insights derived from real world evidence to empower physicians with the necessary data to improve patient care. 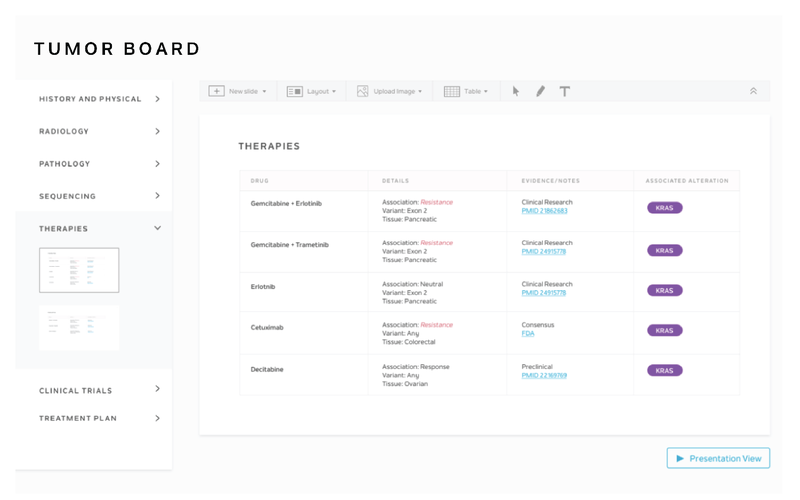 Physicians will also have access to our real-time support tool offering deeper insight into the clinical report and access to additional research and analytics tools. We identify clinical trial matches for patients that fit their molecular and phenotypic profile. Trials can be filtered by phase and distance to find the best match for each patient. 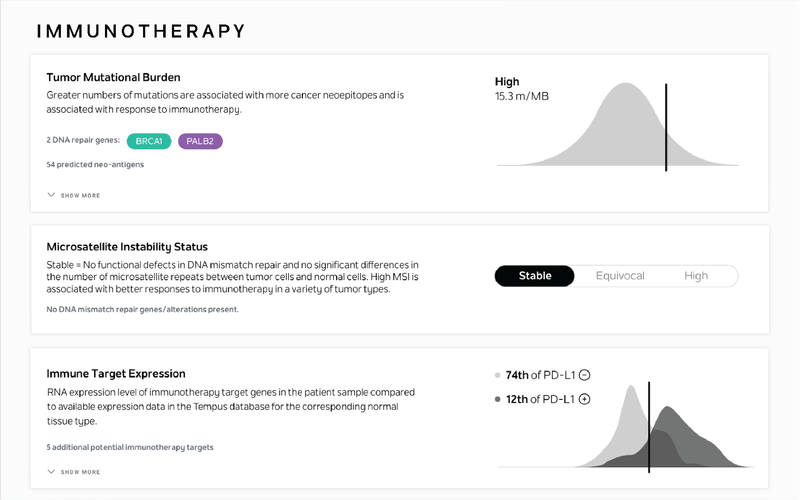 Our database indicates whether a patient may be a good candidate for immunotherapy by showing expression levels of immune cell biomarkers, using results from RNA sequencing and/or IHC staining and comparing these metrics to other patients with the same disease type. In addition, we offer a full array of immune profiling, including infiltration analysis, HLA typing, and neo-antigen prediction. We compile relevant data and insights to guide a tumor board discussion and determine the best treatment decisions for each patient.